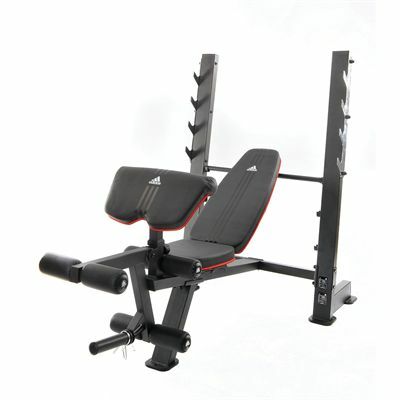 The Adidas power bench is a good value for money piece of gym equipment. It has a total leg developer and a preacher curl pad for a total body workout. 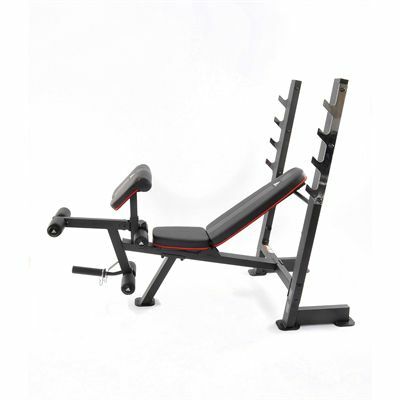 The oversized adjustable bench pad with a 2.5” thick, high density foam ensures a comfortable exercising. The power bench has a large diameter steel tubing and serrated commercial style bar catches. Hard wearing construction and black powder coated finish ensure superior durability. Came very quickly and was actually very easy to put together considering the size of it! I Now have a fully functioning gym in my spare room. Cheers sweatband! Really impressive quality from this bench. It feels very strong and durable. I installed it in my garage with relative ease and love the fact I can store my weight plates on it as well. Great bench for heavy duty lifting. Fits my bar perfectly (olympic) and enables me to do all the exercises I love the most - incline press, flat bench and military press. for submitting product review about Adidas Power Bench.